Of all the major desktop operating systems, Windows is still the only one that makes users bother about drivers, for reasons. 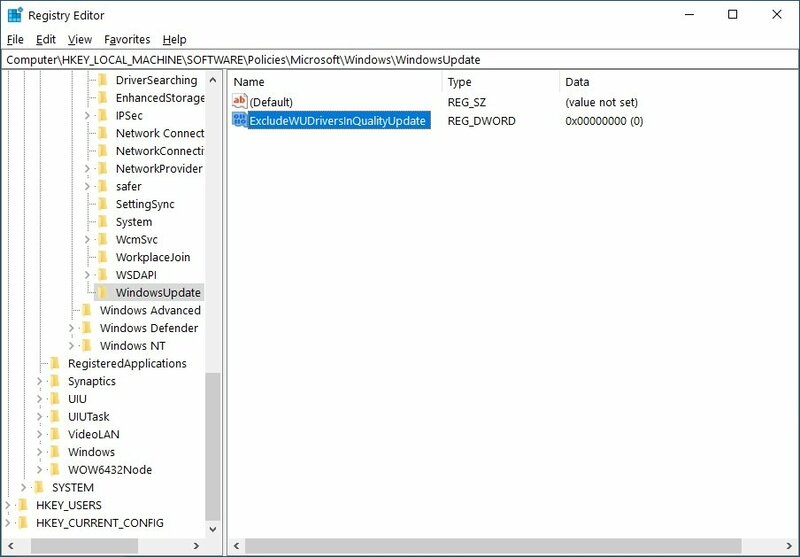 Microsoft tried to solve this problem to an extent by making Windows 10 automatically search for and install drivers as part of Windows updates. It’s a better approach than leaving driver installations entirely upon the end user. However, sometimes this can be problematic too. Sometimes an updated driver breaks things. So when you know that a previous version of a driver works better, you’ll probably want to disable automatic driver updates on Windows. Windows 10 is a little aggressive towards making sure users install updates though. So if you’ve looked for it you probably already know that Windows 10 does not allow turning off Windows updates let alone driver updates specifically. Fortunately, or unfortunately, Windows is still stuck with some of its dated technologies like the Registry. Registry hacks allow users to configure Windows in ways Microsoft does not want them to. 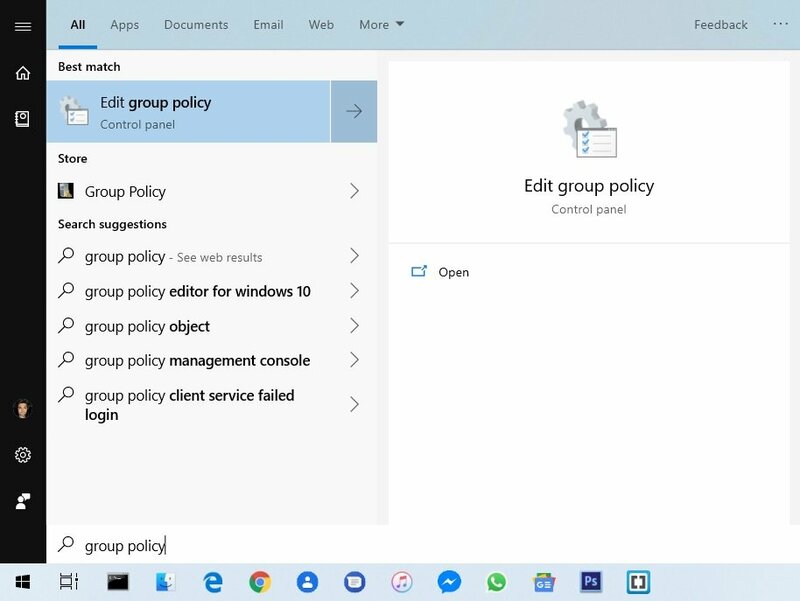 If you’re running Windows 10 Pro or higher versions, you can also make use of the Group Policy Editor. In case you want to disable automatic updates altogether, there are also workarounds for that. Group Policy Editor is not available on Windows 10 Home. If you’re a Windows 10 Home user, you can use the Registry Editor method mentioned below to achieve the same results. Hit the windows key on your keyboard and type out “Group Policy”. You should have the “Edit group policy” as the first search result now. So click on it to open it. Alternatively, you can also hit Windows + R and entering gpedit.msc. 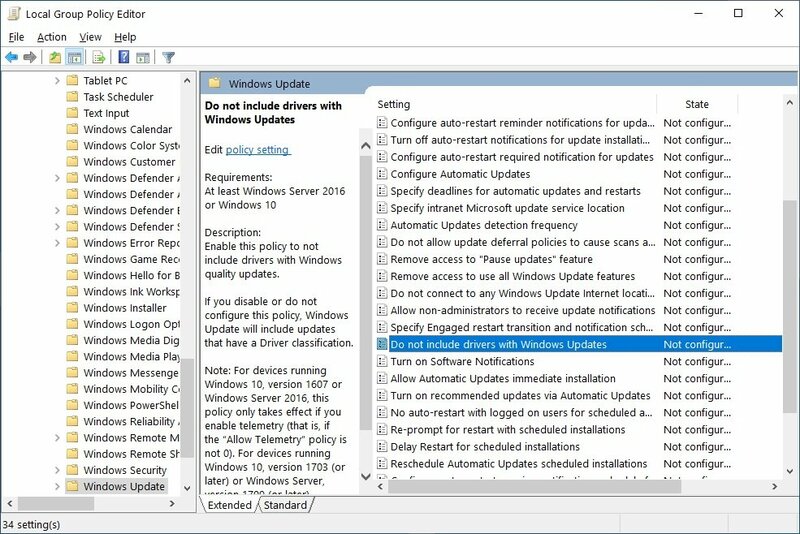 In the Group Policy Editor, navigate to Computer configuration > Administrative templates > Windows components > Windows Update using the left column. 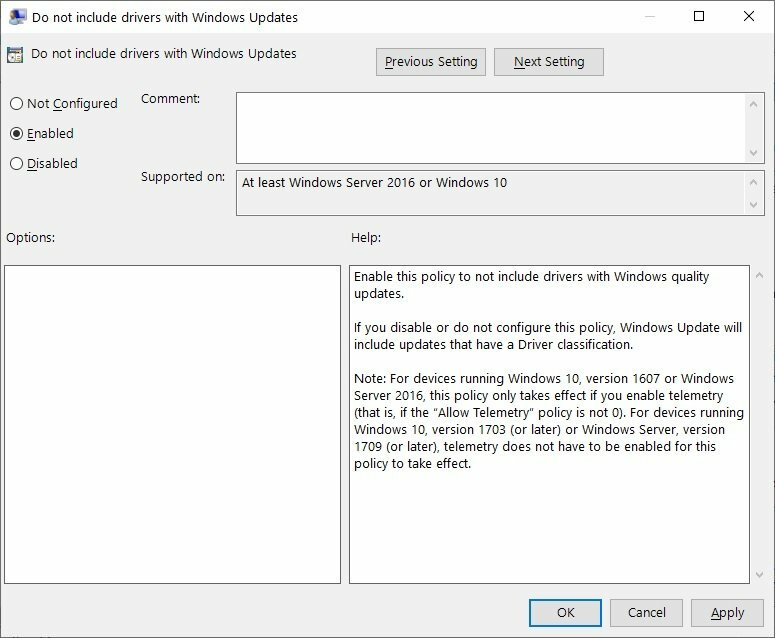 On the right, you should be able to see Do not include drivers with Windows Update. Double-click on it to open its properties. In the Properties Window, select the Enabled option, then click Apply and OK.
Close the window and exit the group policy editor. The changes should take effect immediately but in case they don’t a reboot should help. 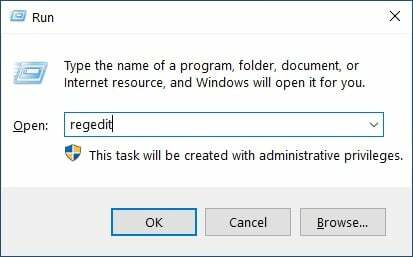 Hit the windows key and search for registry editor or press the Windows + R keys and enter regedit in the run dialog that opens up. 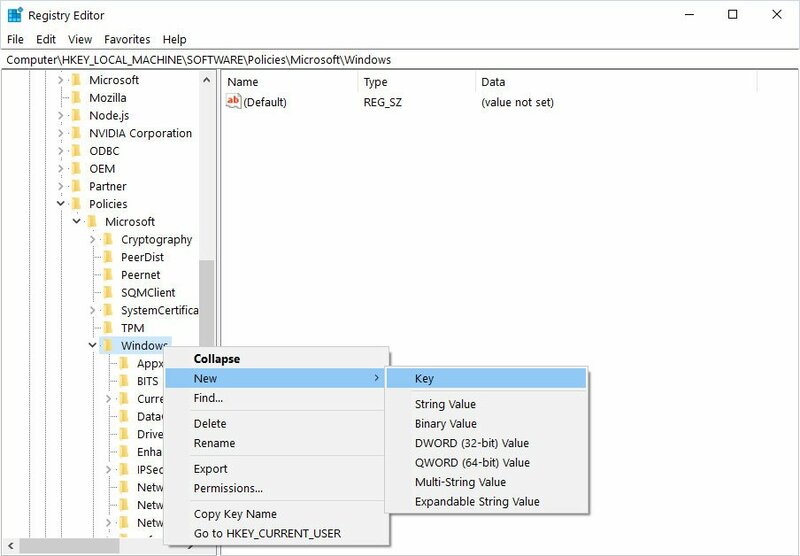 Navigate to HKEY_LOCAL_MACHINE\SOFTWARE\Policies\Microsoft\Windows in the Registry Editor. You can also copy and paste the address directly in the editor’s address bar. On the left column, right-click on the Windows key and select New > Key. Name the new key as WindowsUpdate. 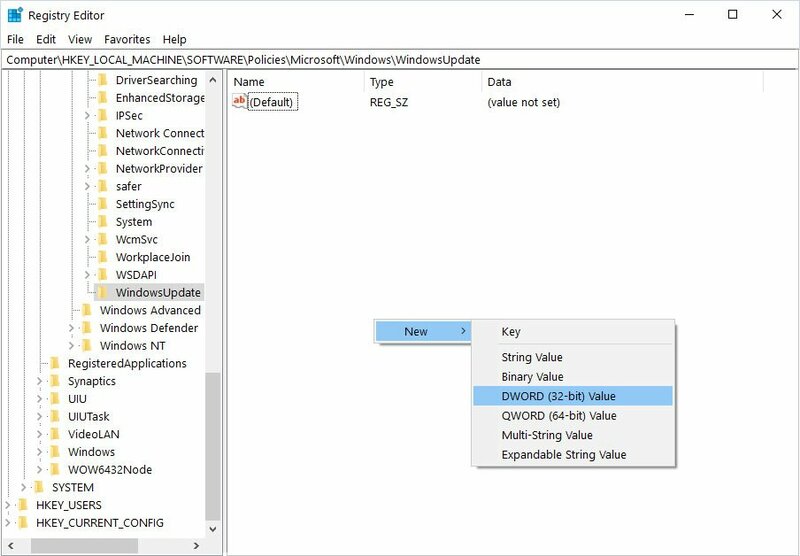 Now select the WindowsUpdate key and right-click on an empty space on the right. 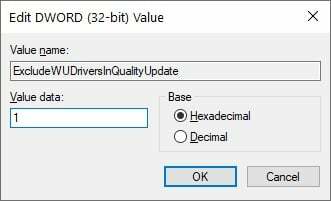 Select New > DWORD (32-bit) Value and give it the name ExcludeWUDriversInQualityUpdate. Double-click on ExcludeWUDriversInQualityUpdate value and then change its value from 0 to 1. 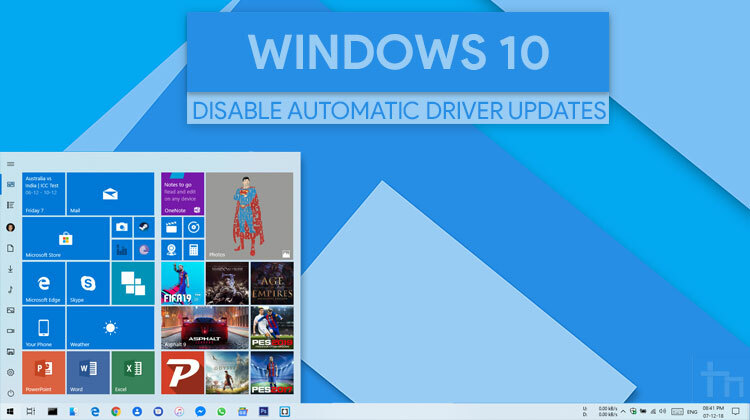 This will disable automatic driver updates on your Windows 10. To re-enable it, just change the value back to 0.